Now in its 17th year, Project WISE engages students from Advanced Placement (AP) Environmental Science classes at Galileo Academy of Science and Technology, a public high school in San Francisco. In this year-long, place-based, student-centered program, participants not only learn environmental science concepts but also get a chance to utilize scientific practice to better understand their parks and communities. 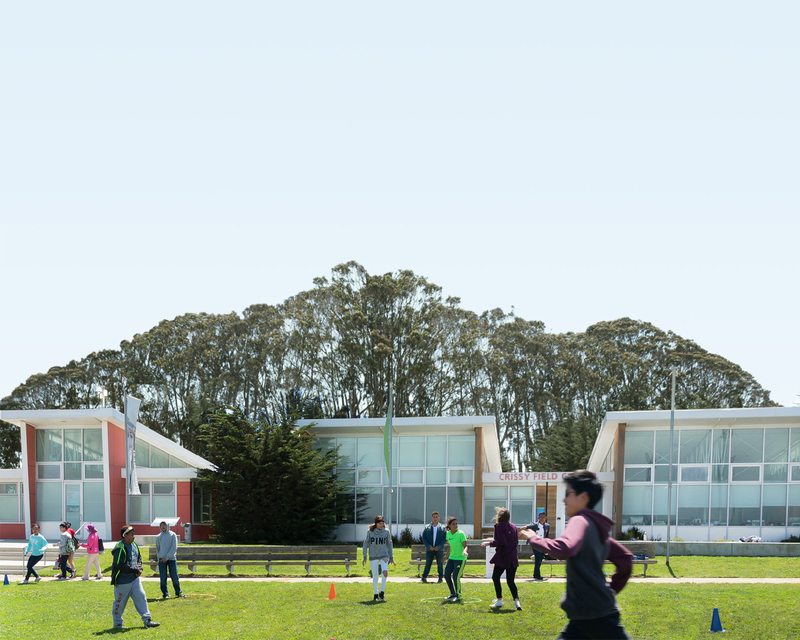 Much of the learning during Project WISE is done outside, as classroom concepts are applied to sites in the national park and San Francisco communities. Water quality lessons are reinforced by an intensive study of Lobos Creek in the Presidio. The Crissy Field Marsh is used as a case study of wetlands. Air quality is investigated by comparing pollution levels in different communities across San Francisco. During the spring semester, Project WISE students conduct their own scientific explorations and present their findings at an annual symposium to peers, park officials, school district administrators, and members of the community. Project WISE helps students in their future academic and career paths by developing skills such as public speaking, critical thinking, conducting scientific investigations, and producing digital media. Project WISE curriculum explores environmental justice, how poor communities and communities of color have higher exposure to environmental health risk factors like pollution, and less access to the benefits provided by the environment such as clean air and open space. In response to high student interest in participating in outdoor experiences, staff increased the number of optional field trips available to Project WISE students. Known as WISE After Hours (WAH), these trips included day visits to local national park sites like Muir Woods, Tennessee Valley, and the Marin Headlands, as well as overnight trips to Mt. Tamalpais and Yosemite National Park. At the end of the year, 11 Project WISE students embarked on a three-day backpacking trip to Big Basin Redwoods State Park. Students took on leadership responsibilities such as trail navigation, camp setup, meal preparation, and activity facilitation. During these trips, students reflected on their own relationship with the environment and what roles they could play as environmental leaders. WISE instructors and 13 youth took part in the Point Reyes Science Adventure, a program focused on authentic scientific research. They spent one week at the Historic Lifeboat Station working with staff from Point Reyes National Seashore and the National Park Service, conducting research on ecological projects, including plant species distribution, hydrology profiling, and fish monitoring. In addition to emphasizing scientific research, the Point Reyes Science Adventure also provided opportunities for participants to reflect on their relationship with the environment and gain leadership skills. Students visited the Point Reyes Lighthouse, hiked to Tomales Point, and participated in a kayak adventure on Tomales Bay. The youth also were given the opportunity to apply the knowledge and skills gained during the program to their own communities, through discussions on diversity in San Francisco and environmental racism. During their stay at the Historic Lifeboat Station, participants were put in charge of roles such as meal preparation, reflection activities, and community-building exercises.